A great design on carryalls, sweatshirts, jacket backs, quilts, wall hangings, and anywhere else you can think of to recognize your favorite handyman! 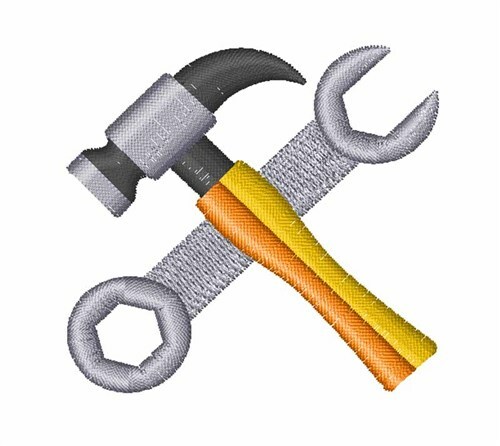 Easy Embroidery is happy to present Hammer & Wrench machine embroidery design which has 2824 stitches and is [52.18 mm x 52.23 mm] large. If you would like to view more embroidery patterns please search on our embroidery designs page.